"As classic in design as a Morris Minor, our saddle loafers look great with everything. 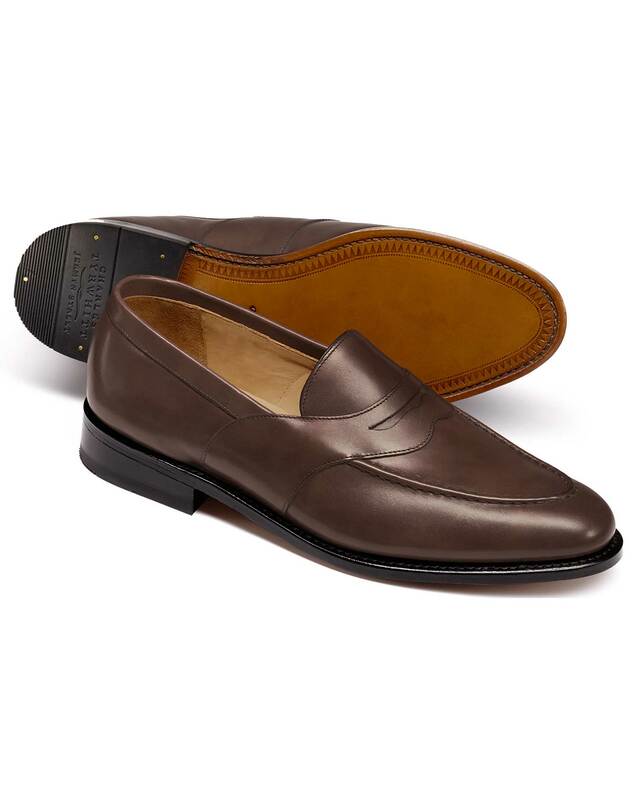 The leather linings and Goodyear Welt ensure that these sleek designs will remain a mainstay in your walking wardrobe for a long time to come." "Don't let their lightweight good looks fool you; these shoes are made from premium quality suede that will last a good long while." The leather seemed stiff and plastic-y. Did not feel comfy. Response from Charles Tyrwhitt: I'm very sorry to see these shoes were not a comfortable fit for you. We work hard to provide a great level of quality in all our products, so will be sure to take your feedback over the feel and look of the leather. Thank you for promptly returning them to us, and hope that your next order from us will be back to our usual high quality.